Most people hopes for the best on their memorable wedding. Your digital wedding photography, stunning wedding dress, delicious wedding cakes, elaborate wedding invitations and just about all additional wedding stuff are essential to your wedding. However, it will not be effective not having the ideal bridal car that is going to transport you to the most significant time in your life – your wedding day event. You will be putting most of your energy and effort on your special occasion. You need to check and ensure that the bridal car rental company holds a dedication for the car rental service and stay fully aware to help you through the day. Select a wedding transportation you are going to be very happy to look at while in your bridal pictorial photography. Make sure you can fit into your bridal car when you’re in your wedding gown. Strive not to become distracted by the fine detail of choosing your wedding transportation. Get yourself a wedding car rundown for carrying you and your wedding party guest at the right time with style. What type of wedding transportation would you prefer? Great for a fairytale or Victorian Theme wedding for that romantic wedding ride. A wedding pickup truck or wagon are the best choice for transporting wedding guests together. A unique way of celebrating your wedding as you blaze your way to the ceremony. Wedding vans can provide great value for your wedding budget. Some are designed with fabulous interiors. Your wedding party guests can loosen up and have fun on their way to your wedding event because of that huge space. Your chauffeur or driver will wait and connect with your wedding photographer to arrange your wedding taxi to be in the best place for the photographs prior to taking the bride and groom on to the reception. A strong alternative to vintage bridal cars, you will feel just like a VIP with this timeless grand luxury limousine. Many types feature audio players, TVs, stocked bars, and mini-refrigerators. Limos also provide benches across the inside of the wedding car. This way, the bridal party can face one another, supplying the ideal setup for pre-wedding toasting. Traveling by helicopter is a marvellous choice if you have a prolonged distance to travel, if you want to arrive at the wedding reception just before your guests. 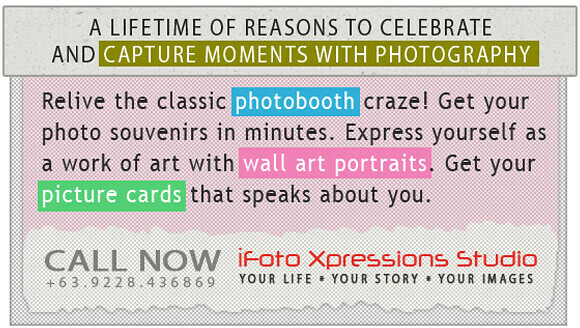 You wish to be there in time for photos or just simply because you have always dreamed it. The venue will have to present you with permission and you will need to make sure that there is sufficient space for the helicopter to land. If you’ve always dreamed of driving an Aston Martin or Ferrari, why not hire a sports car for your wedding theme. The most popular type of wedding transportation is the classic vintage car like the Rolls Royce, Bentley, Mercedes or Daimler. Old model and luxury cars are among the most fashionable styles of cars used in weddings. Vintage wedding cars create opportunity for a spectacular bridal portrait while the bride and groom make those sweet moves as they set the stage for a timeless wedding portrait. Great option for traveling in style that can accommodate large groups of people. Get the wedding car at the most reasonable price and decorate it. You need your wedding to be perfect from start to end. Your choice of bridal car could help make that dream a reality and can produce unique bridal portraits that will be remembered for a lifetime and captured in your wedding photography. Check out this video and be guided on how to decorate your bridal car.